There seems to be a lot of articles about vertical antennas and their design and use on the HF ham bands. Back in the late 1950’s I moved into our first little house in the suburbs of Columbus Ohio. I liked to rag chew with my friends on 75 phone on weekends. Single Sideband was beginning to be heard on the band, but AM was still the most popular (as well as easy to understand and less expensive). Because of space limitations, I decided on a vertical antenna. It worked just fine for its intended use of Saturday Morning ragchews with other hams within 20 or 30 miles. I used a couple Radio Shack ten foot tv masts fastened to the side of the house with a couple standoffs that held the masts about 12 inches away from the house. The vertical was loaded with a large coil at the base. The coil was tapped. The coax from the basement was attached a few winds up from the base. The base and the coax braid were both grounded through a ground rod as I recall. There were no radials. there was another tap for the vertical mast. Somehow I tuned for minimum SWR and/or maximum radiation. I will have to research the actual circuit. 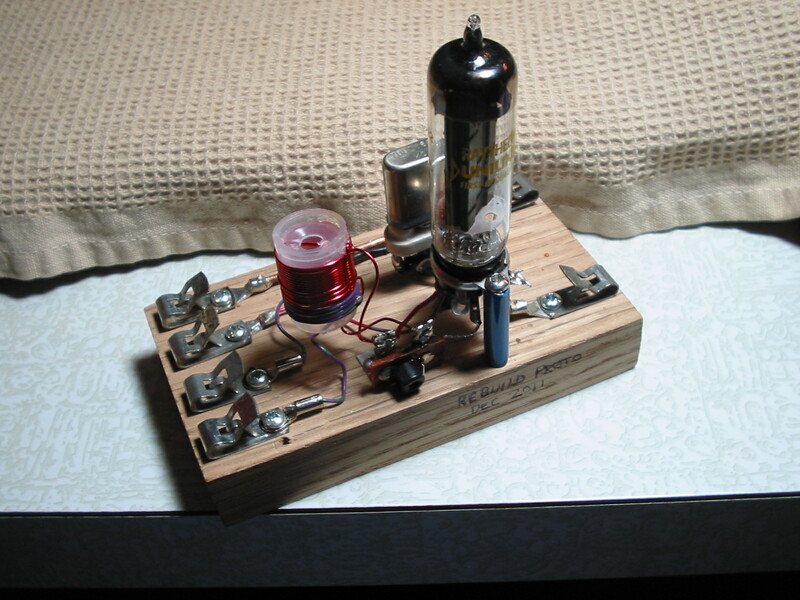 The rig consisted of a homebrew single 813 amplifier fed from a Halicrafters HT-18 VFO. There was no big modulator. Instead, I used the HT-18 in its fm mode, which was narrowband, and produced a readable signal on the AM mode of receivers of that time. It was fun. In general, I believe the more wire the better signal. A good 40 meter vertical will work very well, but, remember, it’s a lot easier to put up a quarter wave vertical on 40 meters that it is on 80. With a great match and efficiency, a vertical should get out very well..
QRP HISTORY IN THE MAKING? You are currently browsing the R3tr0rad's Blog blog archives for June, 2012.